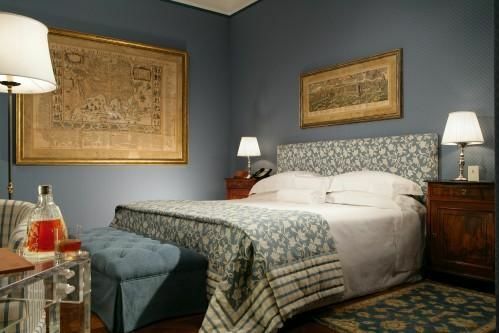 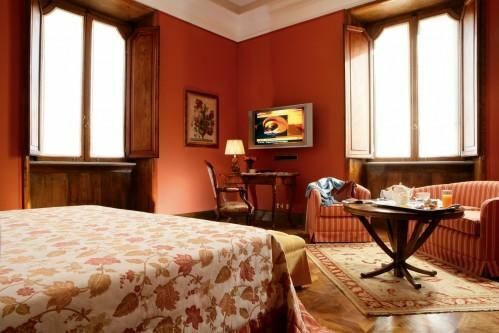 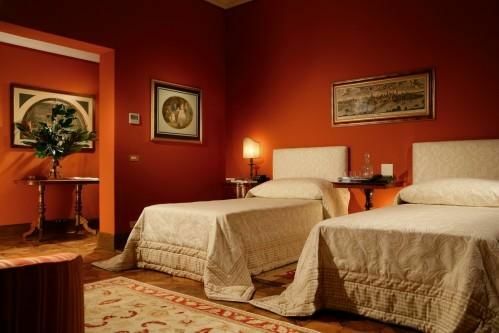 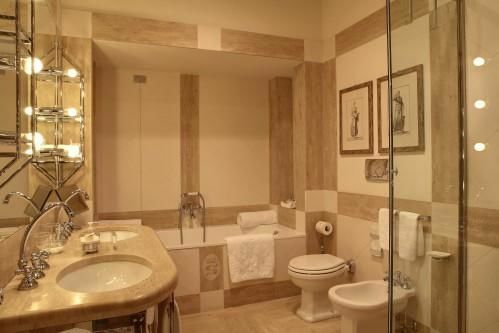 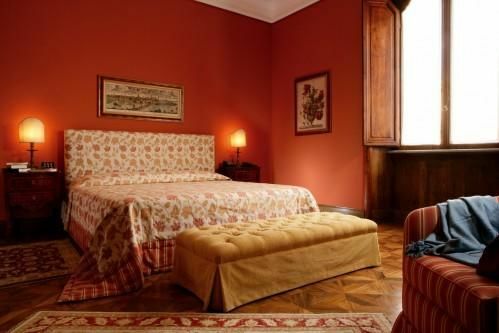 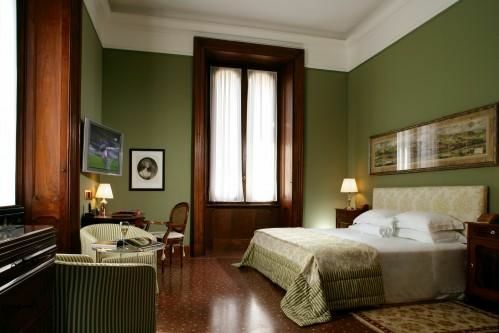 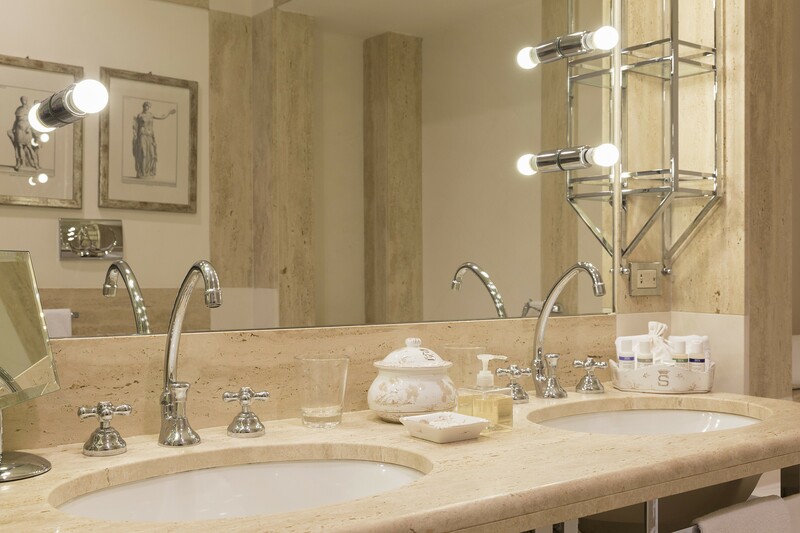 An approximately 35 sq.-metre room with king bed or twin beds, relaxation area, antique furniture, original antique prints, luxurious marble bathroom with tub and shower and refined courtesy organic bath set. 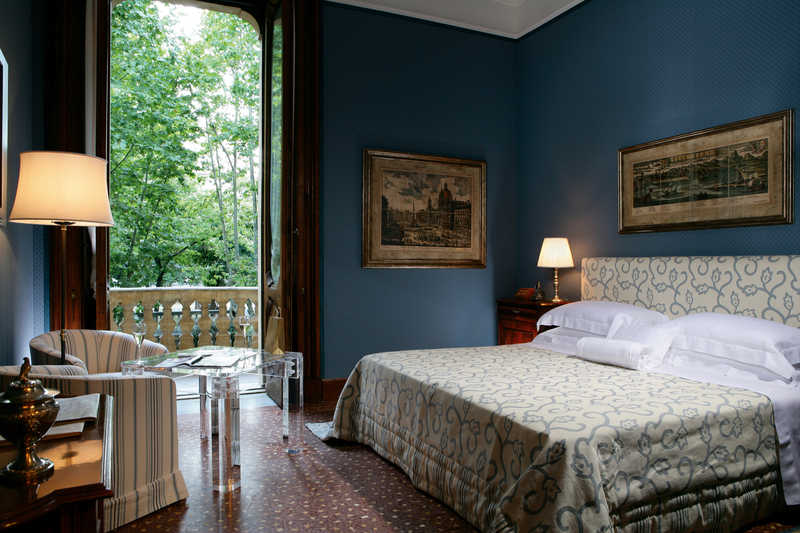 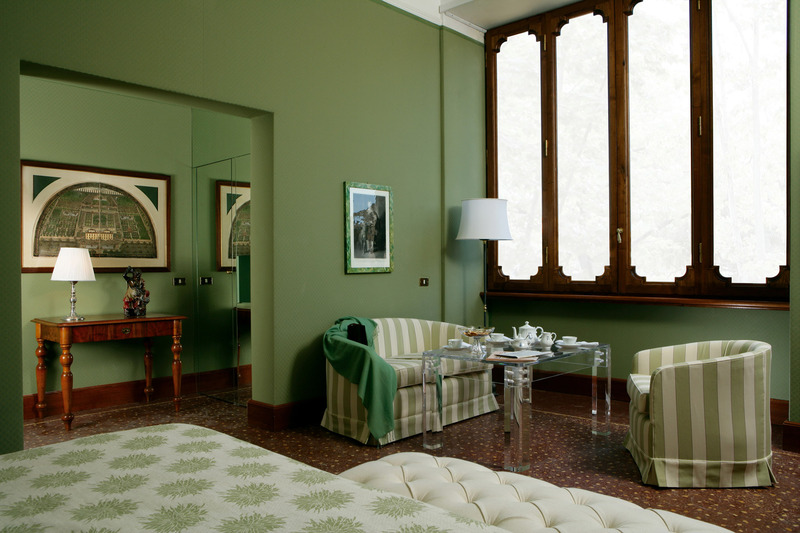 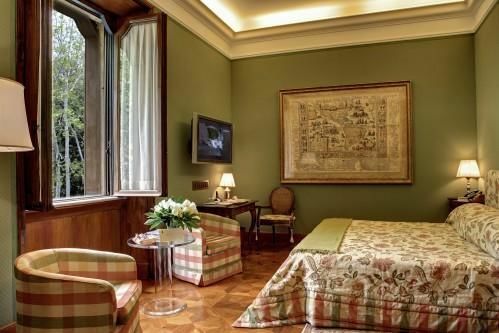 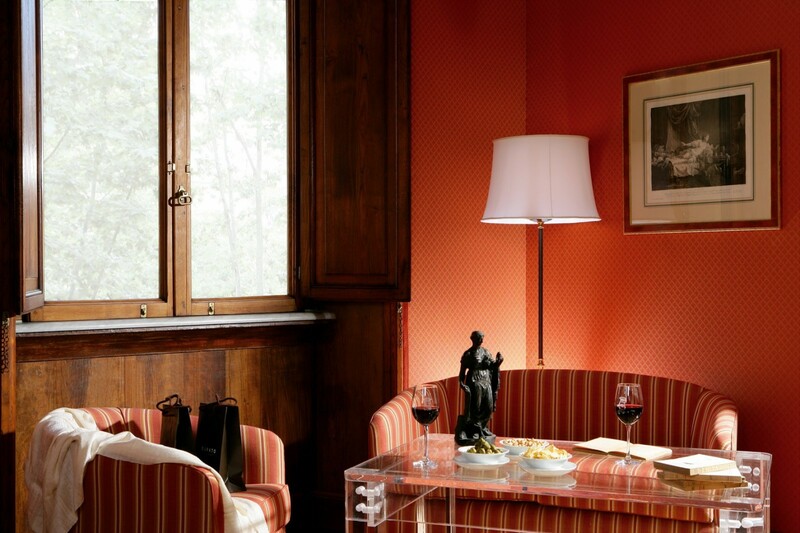 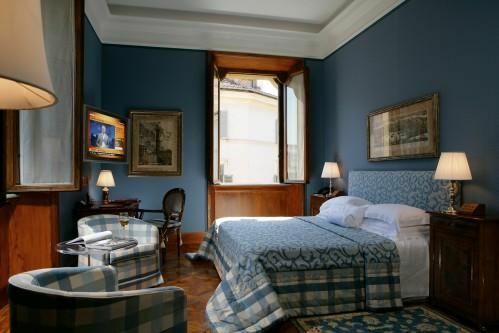 Enjoy the view over the villa or Quirinal Palace gardens. Free wi-fi .